Looking for a new PCP? There is ALWAYS a physician on-call for EMERGENCY ADVICE after regular office hours daily. Calls are picked up by an answering service. Because they may be fielding many calls, please be patient and hang on until they pick up your call. Identify yourself as a patient of a BMA physician, give them a brief description of the medical problem and ask them to contact the on call physician. Please don't expect the on call physician to fill routine prescriptions or to obtain lab results. They do not have access to your record after normal office hours. Covering physicians CANNOT authorize prescriptions for narcotics (hydromorphone eg Dilaudid, oxycodone eg Percocet, hydrocodone eg Vicodin), as these, by law, require a written prescription by your own physician. They cannot be called in or faxed in. NO EXCEPTIONS. If you do expect a non-narcotic medication, for example an antibiotic, to be called in for you by a covering physician after regular hours please have your pharmacy number readily available and be certain that the pharmacy is open. In addition, make it known whether you have any drug allergies. 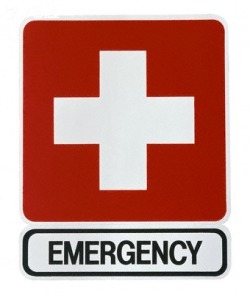 When Should You Go Directly To The Emergency Room? What are life-threatening or serious-injury emergencies? Let us know if you encounter any problems with, or have any complaints about, the answering service. We can't try and fix a problem unless you tell us that you have encountered a problem. Thanks.